A hairline fissure traverses left part of coronary suture. Adjacent to it, there is a lenticular circumscribed hyperdensity abutting the inner aspect of the skull, a typical epidural hematoma. 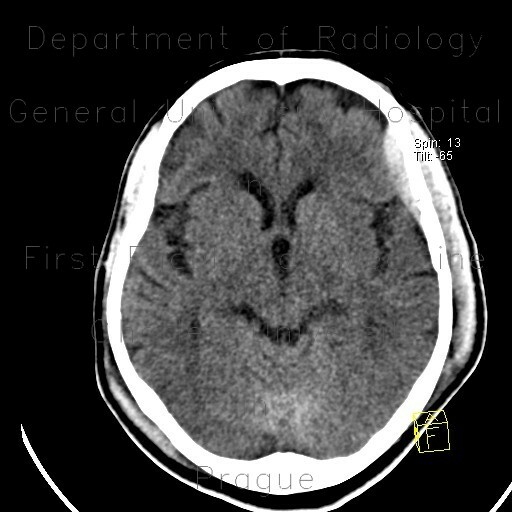 Thin hairline densities interdigiating with sulci represent subarachnoid hemorrhage. Small cerebral contusion with perifocal oedema in the proximity.